Pay is up. Jobs are increasing. And the opportunities of the gig economy continue to unsettle traditional job paths. None of this changes the fact that it is better for culture, retention and the bottom line to fire fast. But how do we balance the imperative to fire fast with the more basic need to have staff? Here are a few tips on how to fire fast, even in an employee market. First, let’s get real about what it means to fire fast. It is not responding to an egregious offense with a definitive “you’re fired!” But there is a lot of space between that approach and the approach many businesses take: a circuitous path toward a teary termination. In addition, a fast termination is often relative based on the industry or sector. Terminating a tenured employee, a government worker or a veteran scientific researcher fast is still going to be a lot slower than letting a customer service representative, part-time sales associate or office manager go, even if they have a long tenure with the organization. The key to firing fast is to understand what fast means in your industry, sector, office and team. Then, work with management or HR to define it as both a process and a timeline. Once decision-makers are clear about how long it can, should and does take to fire someone, it will be easier to make performance management decisions, create workforce development plans, and communicate expectations with employees. Conversely, without an agreed-upon timeline, everyone will suffer from the lack of clarity, indecisiveness and inconsistency. Communicating expectations to employees is critical to firing fast, successfully. Setting clear performance standards and then measuring against them consistently is the best way to ensure employees understand what behaviors are rewarded or not. With that, managers must exhibit and openly reinforce desired behaviors and clearly dissuade, discourage and discipline everything else. Consistently reinforcing the message through action, written and verbal communication and incentives will clearly light the positive path forward for employees. This multifaceted communication should include talking about terminations and the disciplinary steps leading to it. 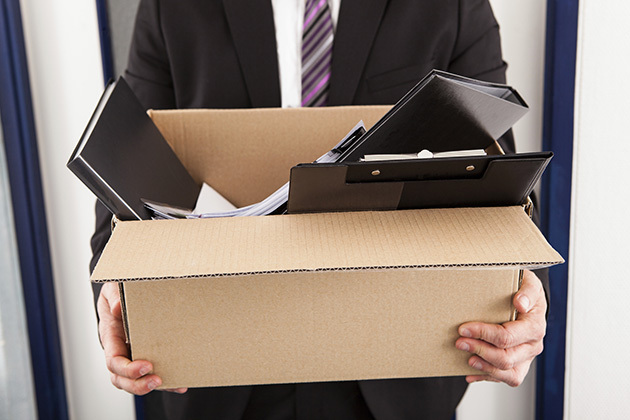 Especially when terminations are not commonplace in the organization, it is critical for employees to understand that they are possible and are clear what it takes to get fired. Lack of clarity around those steps will breed speculation and uncertainty — both of which can erode culture. While vision and mission statements can just be words on the lobby wall, they were meant to serve as the foundation upon which desired behaviors are built. Making and reiterating connections between desired behaviors and organization goals, including the impact they have on each other, affords employees at all levels the opportunity to better understand their role on their team and their team’s role within the organization. This type of connection increases accountability, cohesion and productivity while reducing gossip, silos and presenteeism. Team meetings, companywide communications and events, and regular manager check-ins, are easy and effective ways to strengthen employee understanding of these connections. The bottom line is, even in an employee-friendly market, employers do not have the luxury of indulging subpar employees. Get clear on the time and effort it takes to term an employee, set and reinforce clear performance standards and use existing tools like meetings and email to reiterate, reinforce and consistently reward desired behaviors.